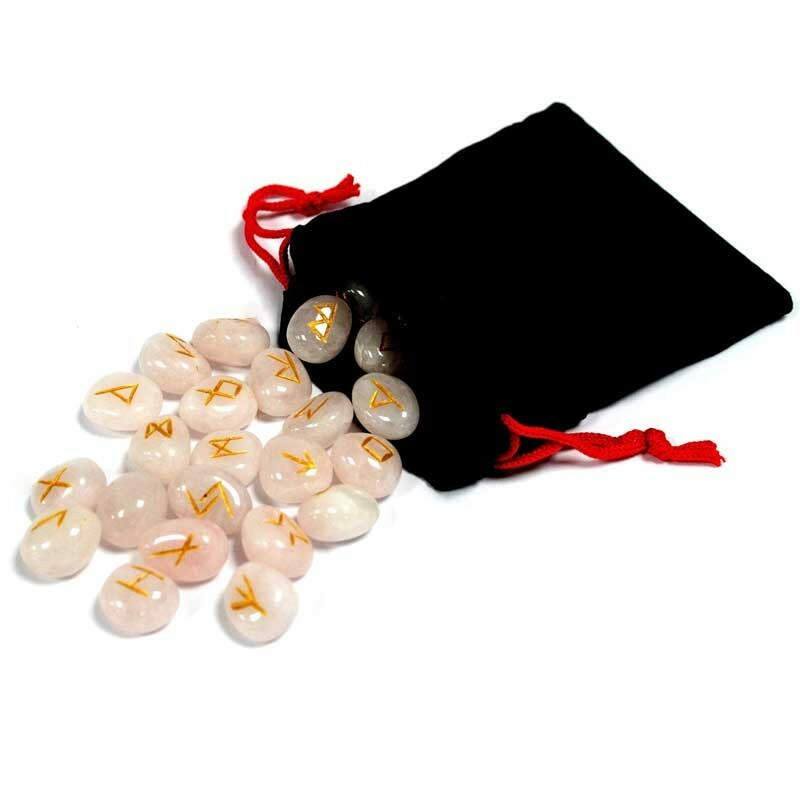 Magical Rose Quartz rune stones set. The rune symbols are carved onto the Rose Quartz Crystal Gemstone, so there is no chance the symbols rubbing off. 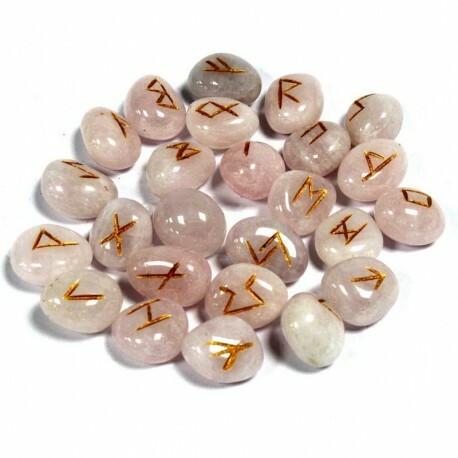 These Rose Quartz rune stones have been hand selected for runes for their size and quality. The Rune stones we have here are all of the Elder Futhark script, which was more commonly used in Northern Europe. Each Rune stone set has 25 Runes - 24 with rune characters on them and a single blank rune. There is no information sheet.